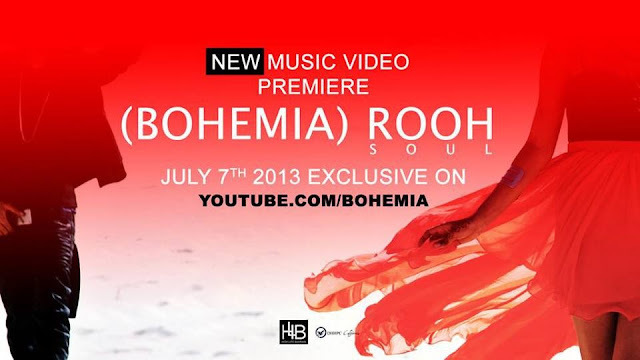 Teaser of 'Rooh' new music video by Bohemia available on iTunes now http://bit.ly/Rooh-iTunes. Full video premiering July 7st 2013 Exclusively on http://youtube.com/bohemia. Lyrics/composition by Bohemia. Music produced by Prince Sahib. Mix & mastered by Dj Darus. Music video directed by Saleh Nass. A High Life Bahrain production.